How to we align the barcode when using the Native Barcode Generator for Access? The Native Barcode Generator for Access is a unique product that allows a barcode object to be embedded in an Access file, without the need for anything else to be installed. Because of the unique nature of the barcode in the text object, alignment actions (such as centering, which are effective on barcode fonts or barcode images) does not have any effect on the barcode. 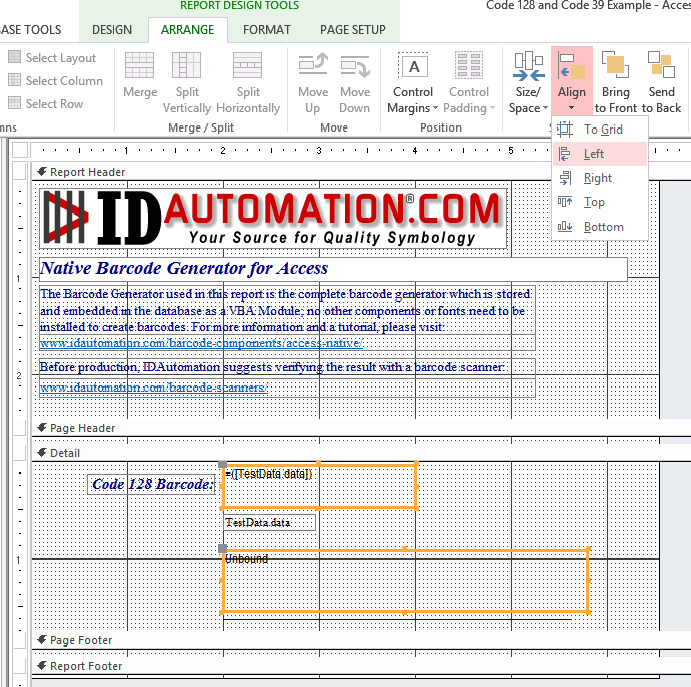 · IDAutomation ActiveX Barcode Control & DLL. · IDAutomation Barcode Font with free Access VBA Font Encoder.